Tour precisely focused on the Temples and Buddhist shrines and monasteries in Nepal including Kathmandu, Patan, Bhaktapur and Lumbini, the birth place of lord Buddha. An opportunity to experience the harmony between the different religious group, mainly Hindus and Buddhists. Nepal is the Holy Land of Lord Pashupatinath and Gautam Buddha, where the Hindus and Buddhists have coexisted for centuries in total harmony. Gautam Buddha, the ‘light of Asia’, was born in Lumbini in Nepal’s southern plains, which makes Nepal a scared pilgrimage destination for all Buddhists as well. The Temple of Pashupatinath is Nepal’s most scared Hindu shrine and one of the four most important sites in the world for Shiva worshippers. Namo Buddha is the sacred Buddhist shrine is located at south-east and couple hours drive from Kathmandu where it is believed that anyone who worships here properly will get free from all kinds of evil spirits and their wills can be fulfilled. Full day sightseeing Tour - Namobuddha temple. 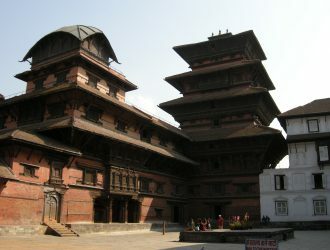 Bhaktapur Durbar Square. Changunarayan Temple. Sightseeing visit to the Lumbini Garden. Excursion of Tilaurakote, childhood home of Lord Buddha. Visit the ancient ruins of Tilaurakote. Transfer to Bhairahawa airport to connect the flight to Kathmandu.